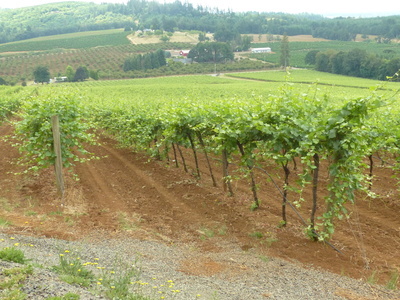 The vineyard at Willamette Valley Vineyards in Turner, Oregon is photographed during an oral history interview with Christine Clair on June 22, 2018. Clair was interviewed by Linfield College archivist Rich Schmidt. Christine Clair is winery director at Willamette Valley Vineyards. 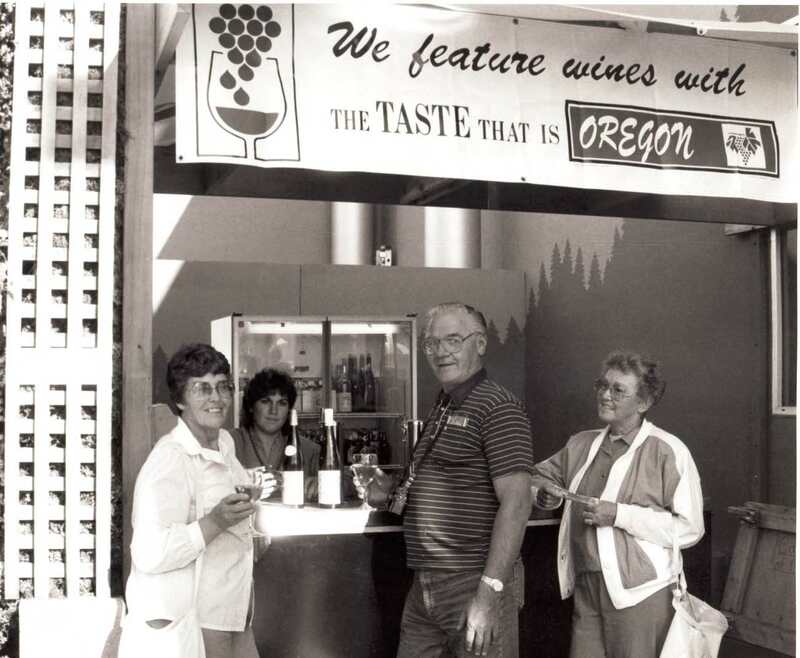 Oregon Wine History Archive. Jereld R. Nicholson Library. Linfield College, McMinnville, Oregon. Linfield College Archives, "Christine Clair Interview 02" (2018). Browse All Willamette Valley Oral History Interview Photos. Image. Submission 626.